Comcast has released an app for Apple mobile devices allowing you to use the iPhone, iTouch, and iPad as remote controls for Xfinity TV. With the free app you can also schedule your DVR, search for and sort programming content. 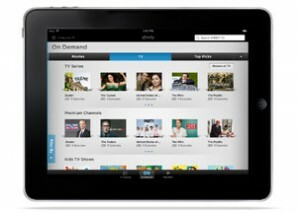 Comcast says remote viewing of content on the iPad will come in December, and Android support is also in development. “The remote control hasn’t changed in years and this app will enable millions of consumers to instantly search thousands of live TV and On Demand choices and also watch the best content whenever and wherever they want,” said Neil Smit, President of Comcast Cable. To download the app visit this XFINITY webpage. Hey guys this is meant to save you some time. As Comcast is going to release the iPad app at some point, you , might want to look elsewhere to get this technology sooner. As an employee and an avid user of this app through DISHNetwork, I can say that not only is the technology available through DISH now, but is also much more user friendly and functional than the one soon-to-be-released by Comcast. As it were, Comcast is doing this as a “step” towards TV Everywhere. Dish already has it. While the new Comcast App will limit a user to his or her home only, Dish App allows one to use it as the name implies: Everywhere. Also found within are the abilities to control DVR and recordings, as well as access the internet, view live stream programs, thousands of movies and much much more. Don’t wait around!! Go to Dish.com/tveverywhere and get it NOW! !